We’ve all heard of adrenal fatigue, but what the heck is it? And more importantly, how do you spot it before it creates problems? These questions are important considering the condition impacts 80 percent of Americans at some time in their lives. Don’t self-diagnose. 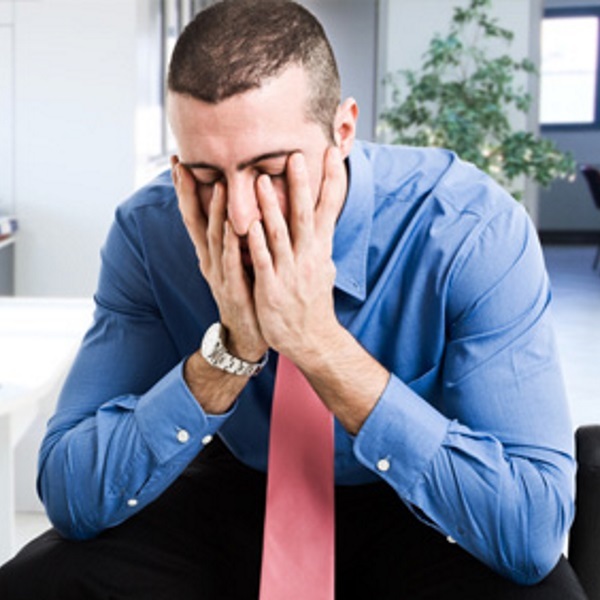 Know the signs and symptoms of adrenal fatigue so you can find professional help. Schedule an appointment with a knowledgeable practitioner who can run appropriate tests. Thanks to technology and the way many practitioners work, this can be accomplished remotely if you can’t find a practitioner in your area. Up water intake. Drink at least half your bodyweight (measured in pounds) in ounces per day. Remove processed diet and sports supplement foods, and replace them with whole foods. Add an extra rest (or active rest) day during the week. “Candle down” before bed. Shut off screens. Read a book. Dim the lights. Take a warm shower. Take a probiotic or eat probiotic foods 1-2 times per day. A healthy gut contributes to healthier hormonal balance. Sprinkle, sprinkle. A pinch of sea salt in water is a great energy booster and adrenal balancer, as sodium and potassium levels tend to be off in adrenal fatigue. Use safe supplements. Consult with a knowledgeable practitioner before using “over-the-counter” adrenal supplements. However, two great arsenals for feeling better include essential oils (especially lavender) and AdrenaCalm, a topical cream by APEX Energetics created to soothe and support crazy adrenals. Read up. I recommend the book Adrenal Fatigue: The 21st Century Stress Syndrome by Dr. James Wilson, as well as his website. Dr. Michael Lam also has a website with a wealth of information. If you experience constant fatigue or a plateau in your training, you might find yourself saying things like, “If I just dial in my diet some more,” or “If I just add in a little cardio…” But what you really need is rest, permission to de-stress, a careful look at your nutrition, and education. The majority of us will experience adrenal fatigue at some point in our lives. Knowledge is power, so take steps today to prevent problems in the future.